Phil Rico, longtime resident and current mayor of Trinidad, says in the past four years, the city has seen an influx of people moving in from other areas. He says the city's economy was largely dependent on the mining and agriculture industries but the creative sector is now it's newest driver. Marily Leuszler, board chair of The Creative District in Trinidad, said there were early skeptics at the beginning of the Space To Create project. 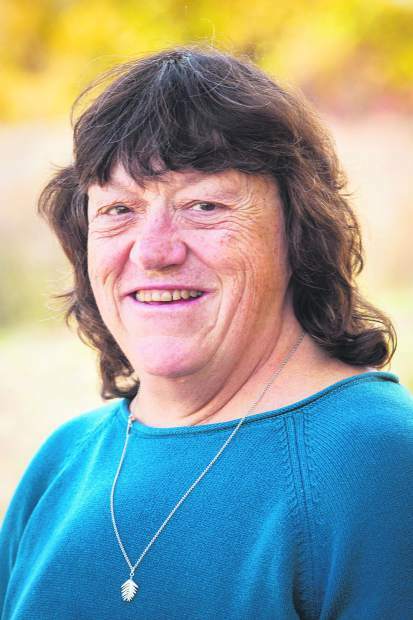 Now, she says, they see it as an economic revitalization tool. City officials and Artspace staff pose for a photo during Trinidad's "groundbreaking ceremony." Tara Marshall, Development Services Director for the city of Trinidad, speaks during an interview about the area's housing crisis. Marshall says Artspace's new affordable housing initiative is not just a housing project, it is an economic revitalization tool. This week the Post Independent is publishing a series of stories about a unique effort to address affordable housing needs, and what at least one local community might learn from others across the state. The series was made possible in part by a grant from Solutions Journalism Network. 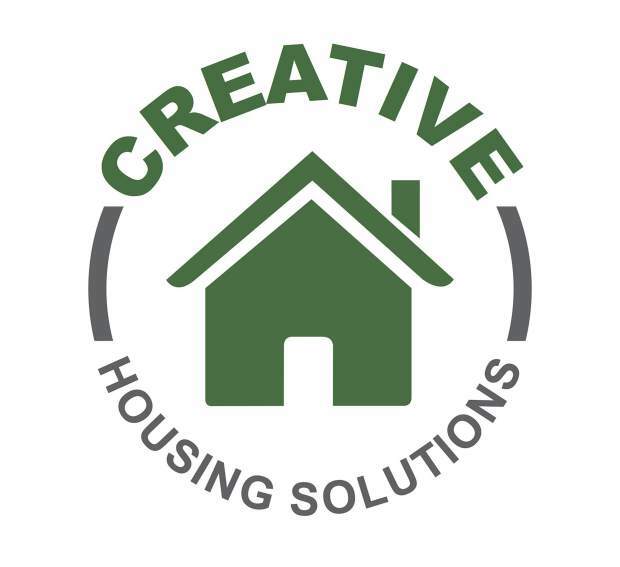 It also coincides with an affordable housing survey being conducted by Carbondale Arts and the town of Carbondale that will inform its next steps in developing residences for creative people. Part 1: The affordable housing crisis. Part 2: Loveland’s artist live-work space inspired Colorado to seek similar opportunities statewide. Part 3: Trinidad’s public officials and artists work together to diversify the town’s economy. Part 4: As Carbondale considers the possibility of artist live/work space, what can the town learn from others? Space to Create runs through Colorado Creative Industries, a division of the state’s Office of Economic Development and International Trade. It takes more than one office to make Space to Create work. Partners include the Department of Local Affairs, History Colorado and the Boettcher Foundation. Space to Create projects hire as consultant Artspace, a nonprofit real estate developer focused on arts. Every community faces different challenges, but Trinidad residents believe there are several transferrable lessons others can derive from their experience. • Plan ahead. 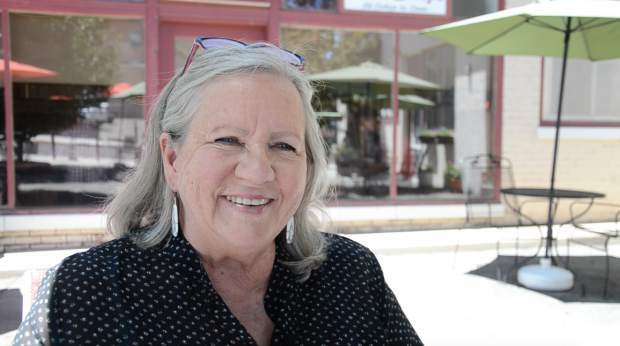 “It’s not based on what we have now, but how we have set ourselves up to be prepared for something of this size,” Corazon de Trinidad Creative District’s Marilyn Leuszler said. The city has been able to capitalize on outside investment because it had already developed a strategy and framework for its economic growth. • Network. “You must create relationships outside your community that bring investment into your community,” Trinidad Development Services Director Tara Dawn Marshall said. State agencies and private investment help a city amplify its resources. • Official support. Although Trinidad’s creative strategy originated with the community, it grew because city officials supported it. • Volunteers. Community investment is essential, Leuszler, Rico and Marshall said. This isn’t an “if you build it, they will come” strategy, but rather a response to community need. 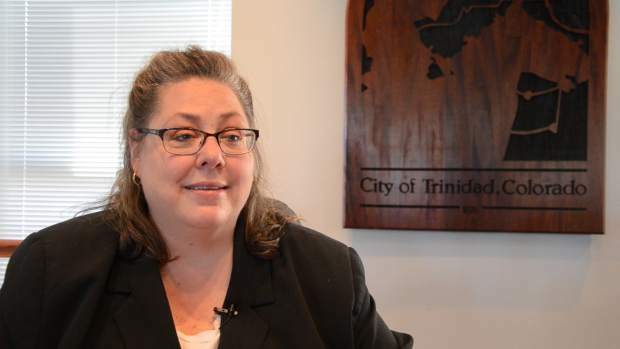 Trinidad city officials didn’t have much context for Gov. John Hickenlooper’s January 2015 visit to the southern Colorado town. They knew he would be accompanied by people from a variety of state agencies as well as an organization called Artspace — though at the time, Trinidad wasn’t familiar with the nonprofit real estate development group. Even so, the city welcomed the chance to share its in-progress revitalization with Hickenlooper and others. “Here’s the road we’ve been on. Here are all the things we’ve done to get here. 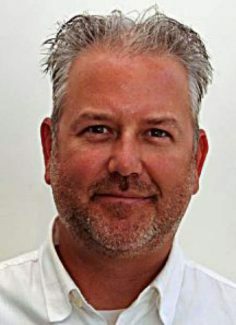 We knew that someday we’d get the call, that people would fly in on the governor’s plane, that we’d have the opportunity to host them,” Trinidad Development Services Director Tara Dawn Marshall remembered saying. The visitors returned to Denver and elsewhere, and Trinidad staff concentrated on the city’s economic development. Six months later, they received a call. The state planned to launch an artist affordable housing initiative called Space to Create. Trinidad would be the program’s demonstration project. From the outside, it may seem as though Trinidad was lucky. But the city was years into building its economic development strategy around creative industries. Preparation led to opportunity. Last year Carbondale applied for state support to develop a live-work space project but was passed over in favor of Paonia. Even so, Carbondale continues to lay the groundwork to partner on its own with Artspace to build artist live-work housing. Trinidad lost 1,200 oil-and-gas industry jobs in 2012, and the city’s struggles were unmistakable. The city’s downtown is striking, with a mix of architectural styles and the largest inventory of Late Victorian buildings east of the Mississippi River. But in 2012, 60 percent of those buildings sat vacant. The city saw less than $1 million in commercial building investment that year, and the lodging tax income hovered around $152,000. Trinidad had historically leaned on agriculture, mining or energy to drive its economy. As people followed the oil-and-gas jobs to Texas, city officials knew they needed to look to other revenue sources. Marijuana sales brought significant sales tax to the city because of its location near the New Mexico state line. It’s also a short drive from parts of Oklahoma, Texas and Kansas. But as more states legalize recreational use, Trinidad expects that income to decline. The city looked to creative industries for a solution. The push began with local artists, who saw the potential of becoming a certified creative district through the Colorado Creative Industries-run program. The designation carries a $10,000 matching grant, marketing assistance, data analysis, opportunities for collaboration and access to other funding programs. City officials embraced the idea. Trinidad earned emerging status in 2012, and then became a certified creative district in 2013. “If you can create these small ecosystems that generate creative business, they create art, they generate vibrant downtowns,” Marshall said. “That can open the door to revitalize your downtown. The city dove into creative industries as a means of economic diversification. The nonprofit Downtown Colorado brought experts in historic preservation, tourism, planning and economic development to Trinidad in October 2012. The group developed 76 recommendations that would help the city move forward. Trinidad rewrote its building codes, in the process eliminating some regulations that made restoration of the city’s historic buildings cost prohibitive. Staff established a historic preservation commission and became a certified local government, which enabled the city to process its own local tax credits. It revitalized its urban renewal authority, which it based in historic preservation, and established an economic development department. From there, the city set its sights on developing state relationships. Rural Philanthropy Days offered that opportunity during a September 2014 conference in Trinidad. The three-day event brought leaders and funders to Trinidad, where nonprofits from southeastern Colorado had the opportunity for training and networking. The workshops help facilitate partnerships, and that led to significant payoff for Trinidad. Shortly thereafter, then-President Tim Schultz of the participating Boettcher Foundation received a request for funding from Artspace. The Minneapolis-based organization was working on Loveland Lofts, its first live-work space for Colorado artists, and it approached Boettcher for funding. 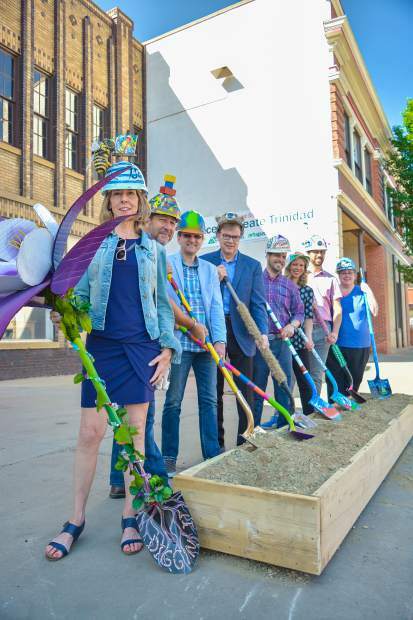 The foundation approved funding for the Loveland project, and Schultz asked Artspace President Kelley Lindquist to visit him during Lindquist’s next Colorado trip. Together, they began to brainstorm the model that became Space to Create. 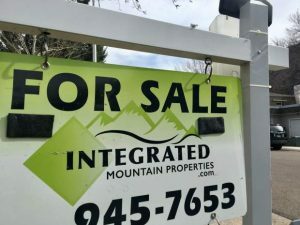 They brought Hickenlooper and CCI’s Margaret Hunt into the conversation, and ultimately devised a plan to spark economic development and affordable housing in nine rural Colorado towns, selected by region. Thanks in part to Rural Philanthropy Days, the officials were familiar with Trinidad’s efforts. The city was poised for the state’s investment. “We felt this community had the potential for a transformational turnaround through this initiative, and (would) serve to inspire other rural communities dealing with economic recession and/or needing to diversify their economies for long-term stability,” Hunt said. Some residents were skeptical about turning to state entities for help, and Mayor Phillip Rico understood their hesitation. 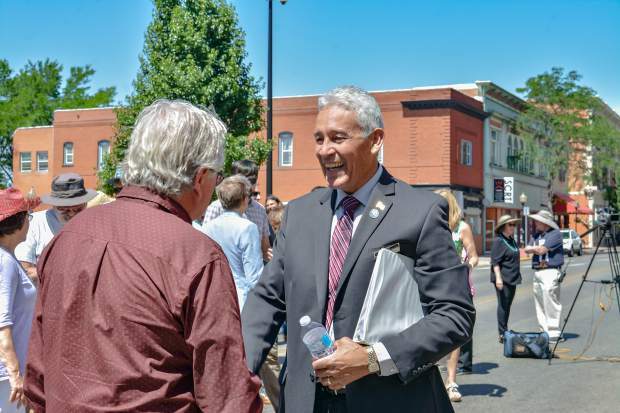 Rico, who was elected in 2016, is a Las Animas County native. He knows people don’t want those from Denver or elsewhere to shape the city’s character. But during his time on the campaign trail, he also heard desire for change. The city’s boom-bust economic cycle was untenable. As locals understood Trinidad residents laid the path, even when funding came from the capital, they grew more comfortable with change. When the state invited Trinidad to become the demonstration project for Space to Create, it expected the city to invest in the project, as well. The city purchased two of the three buildings that will house the project. 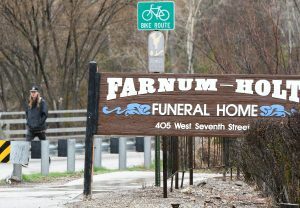 It also earmarked $2.2 million — 12 percent of its general fund — for the project. Though the city’s selection as Space to Create demonstration project was public, Trinidad still needed to go through Artspace’s process. The preliminary feasibility survey and market study gauged need and built resident investment. More than 600 people participated in the market survey, as compared to 300 in much larger Loveland, and 156 committed to living in the resulting project. 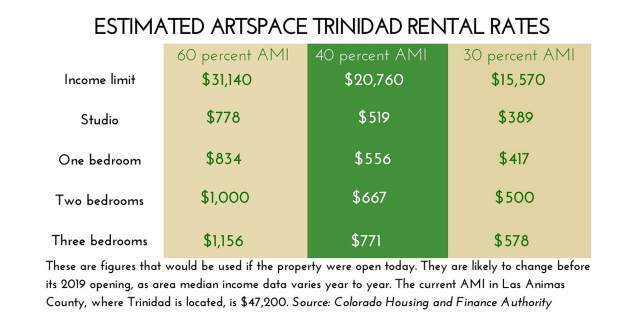 By Artspace’s formula, that meant Trinidad would be able to support as much as a 50-unit project. Then the community hit a snag. The project’s pre-development phase required the city to secure funding from a variety of sources. It intended one of those to be low-income housing tax credits from the Colorado Housing and Finance Authority. The 9 percent credit would allow the project to maximize its money. But in June 2016, CHFA denied Trinidad’s request. Although Artspace had previously helped ensure artist preference didn’t conflict with low-income housing tax credits, each state administers its credits. CHFA OK’d the tax credits in Loveland, where Artspace secured funding several years ago. But things had changed. “Five years ago this affordability crisis wasn’t extreme. Now things are different,” said Shannon Joern, Artspace’s vice president for national advancement. CHFA was reluctant to assign tax credits to a project that would serve only artists. 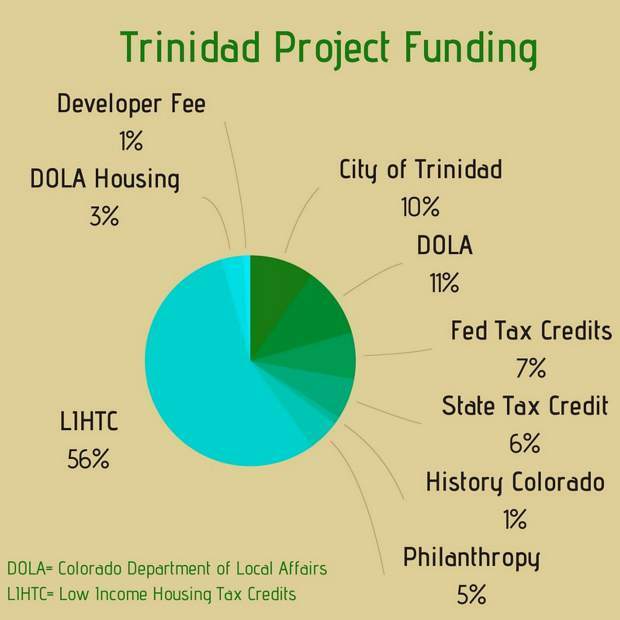 Trinidad and its partners responded to CHFA’s feedback with another housing study. Space to Create’s initial announcement spurred investment in Trinidad, and that meant an increased squeeze on affordable housing. The need wasn’t acute after the initial job losses of 2012; people who fled Trinidad to chase oil-and-gas jobs couldn’t sell their homes because of the state of the economy. That meant people who remained were able to rent them at a low cost. But increased attention on Trinidad also made those homes more desirable. Owners were able to sell their property, and inexpensive housing was no longer the norm. Trinidad officials also met with state legislators to discuss rural housing. They presented Trinidad’s need as an opportunity for the state to support catalytic change. 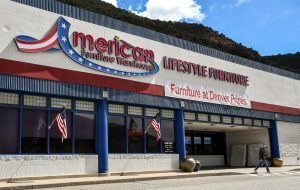 “With an investment in rural Colorado you will say, ‘It’s safe to invest here,’” Marshall said. That could, in turn, encourage private entities to do the same. Ultimately, CHFA approved the tax credits and Space to Create was able to move forward. Already, projects like Artocade have been part of the city’s renaissance. Artist Rodney Wood launched the September art car festival in 2013 after the city enlisted him to create a signature event. The parade, festival and party draw more than 9,000 people to the city, which is home to 8,200 residents. Marshall said she notices more and more often that she doesn’t recognize everyone in the shops and restaurants she visits. That indicates either increased tourism or new people moving to town, she said. The change goes beyond anecdotal evidence; since Trinidad began to implement its creative industries strategy, it has seen an increase in a number of measures. Income from lodging tax nearly doubled between 2012 and 2017, and the increased revenue from downtown restaurant sales tax matches it. That suggests people are not just stopping overnight and continuing along I-25, but spending time in town, Marshall said. Tourism is up, and private investment is also on the rise. Commercial building permits brought in less than $1 million in 2013, but hit $7.6 million in 2017. Marshall said the city expects that figure to exceed $12 million in 2018. City officials expect those numbers to continue to tick upward as Space to Create comes online. The three buildings comprise a city block, and will house several live-work units, gallery space and flexible community space. In the process, they’ll restore the facades of the three historic structures. Nearby, a new building will be home to additional live-work spaces, bringing the total to 41 units. The final price tag will be nearly $18 million. The city is already planning for a future when downtown real estate is even tougher to come by. Market-rate housing downtown will develop on its own time, Marshall said, and the city wants to ensure the people behind its economic strategy aren’t priced out of the city center when it does. Trinidad is looking to land bank property for future affordable housing, and aims to create 125 affordable housing units downtown.